Let us face it, though there are many flexible jobs out there, you cannot do most of them. Why? Because half of them need you to be using a phone. That means a quieter environment. What does that mean? It means that the most of the mums cannot go for these jobs. With kids at home, it is near to impossible to get a quiet place or time. 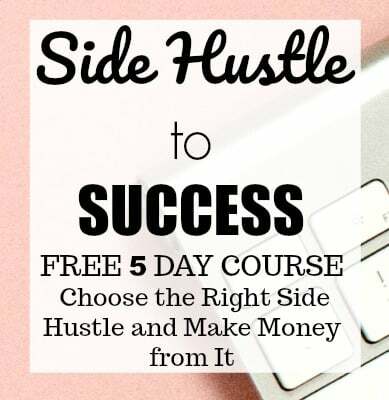 It is quite a challenge especially for stay at home mums to find a home job or money making side gigs which can be flexible around kids. I know your pain; I am a work at home mum with two kids at home. This should not deter you from looking for work-at-home jobs; there are loads of online jobs that are available which don’t ask for a phone. Today, I am curating a list of online jobs/gigs which don’t necessarily need a phone. Though most of them need you to be on the computer and sometimes use a particular workspace, it is much easier and doable than talking over the phone with kids around. Please check the websites to see if the companies are currently hiring. Chat Agents are particularly in-demand now, and many companies are hiring for this position. You need not be on the phone, but you will have to be relatively a good typist for this with a pleasant demeanor as this role involves interacting with customers/clients online. The companies that hire chat agents are Applecare, LiveWorld, Convergys, World Wide Web Hosting (Remote.co), Needle. Transcription is a very rewarding career and also a flexible home job. There is an excellent chance that you can make enough money from transcription roles. There is no phone required as this role involves just typing by listening to audio files. Therefore, your typing speed matters a lot. Companies hiring transcribers online are AccuTran Global, Appenscribe, Casting Words, GMR Transcription, Quicktate, Babbletype, Scribie and much more. Freelance writing is a high demand career as more and more online content is required by brands and businesses. Sometimes an experience is necessary to get a good pay, but most of the times you can start off as a beginner in this field. There are many websites which accept freelance writers and pay per article or post. 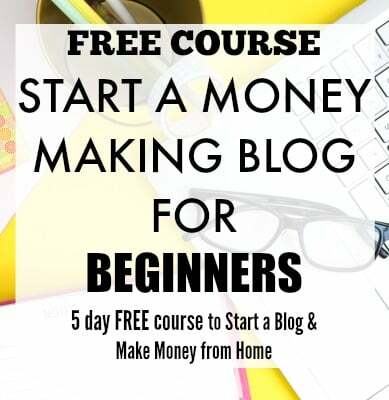 If you do want to bump up your income from freelance writing, then have a look at Holly’s EarnMoreWriting course. She is one writer who makes $200,000/year. She definitely knows the tips and tricks of the trade. I come across many people who ask me about Search Engine Evaluation, which is relatively the most popular online job. Search Engine evaluation is nothing but rating the search engine results to make the user experience better. Sometimes the roles might be called a bit different like Social media evaluator or Internet Assessor. The basic job description is to rate the results, and this does not require any technical knowledge; anyone can do it. The work is entirely online. There are about five major companies which offer this role, Lionbridge (thesmartcrowd.com), Appen Butler Hill, iSoftStone, Leapforce and ZeroChaos. There are many jobs like these which are around, and they don’t require much experience. Moderating is just filtering through forum/social media comments, communicating with the forum members. These roles might not pay much, but the flexibility is great. You can look for moderating jobs at places like eModeration, ICUC, LiveWorld, Metaverse ModSquad. I have not seen an online job which is as in demand as Virtual Assisting. A virtual assistant is a person who does an all-around job of managing all the facets of business virtually. Virtual Assistants handle many tasks like maintaining websites, answering emails, administrative tasks and more. Please keep in mind that there may be some phone related tasks in virtual assisting, but not all the projects are the same. You can get VA gigs in places like Fancy Hands, WorldWide101, Time etc and also in freelancing websites like Freelancer, Upwork, Fiverr. Data entry jobs are the most sought jobs on the web but they are also the ones which are most targeted for scams. Though there are many scams on the internet, you can find real legitimate typing jobs. Remember that they might not be high paying ones, but they make a good side gig. Websites like MTurk, Clickworker, DionData Solutions, The Smart Crowd, etc. offer typing roles. Proofreading is the job which might be more suitable for someone who is good with their grammar, language skills and also excellent at pointing out errors or scanning data. This role might require some experience in some cases but can be started as a beginner and does not involve any talking over a phone. The websites which can have proofreading jobs are ProofreadingPal, Domainite.com. Online teaching is also an excellent option if you are looking for non-phone jobs. There are many legitimate online tutoring websites which accept tutors in various subjects and also conversation English. Online tutoring sites like VIPKID, TutorMe, Smarthinking, Brainfuse, Tutor.com offer tutoring jobs. Microtasks are small gigs which can range from data annotation to just basic typing. They are just extra cash earners and might not make much. Websites like Clickworker, MTurk, CrowdSource have such tasks. Technical Customer Service is more on the technical side, but nevertheless, it does not involve a phone most of the time. These roles include assisting clients or troubleshooting the issues. You should be having some experience in troubleshooting technical problems. Many big companies like Zapier, Automattic, DealDash, etc. have such roles. Editing is as popular as proofreading. This job is flexible, and you need to have proper grammar and spelling for this role. There is no shortage of editing roles, and you can find them in many freelancing places like Upwork and Freelancer. The websites which have editing jobs are Kibin, Gramlee, Cactus. You would need to have expertise in another language for Translation positions. Translation can be an excellent non-phone option for you if you are multi-lingual. You should have a good command of the language you are translating. Websites like Appen Butler Hill, Verilogue and TextMaster have these jobs. Medical Coding is another flexible non-phone job which does not require a phone. Medical coders are the ones who convert the health services into codes for billing purposes. They usually work in the billing section of the hospitals. You would need a background and certification for this role. In some cases, experience also helps. Companies like The Coding Network, Aviacode, Codebusters have work-at-home medical coding jobs. Remote Accounting/Bookkeeping jobs are not very easy to find, but they are available with some selected companies. They do require a relevant qualification and may be some experience. They are non-phone jobs. AccountingDepartment, Bookminders.com and Balance Your Books are some companies offering work-at-home bookkeeping roles. Social Media Management is another upcoming job category which comes with a lot of flexibility. It might sometimes require some phone interaction, but mostly it is an online job. If you are good with your social media management and have excellent networking skills, then you should consider this role. You can look for clients for this role in freelancing places like Upwork, Freelancer and other crowdsourcing websites. Website Testing can be another side income earner for you if you are not looking to use a phone. Though the work might not be available all the time, you can get paid around $10 for about 20 minutes of looking around and speaking out your opinions about the tested website. You can try Analysia, Whatusersdo, User testing for this side gig. That’s a big list of stay-at-home jobs. Some of them might make good money; some might be a side income earner or just extra money. Nevertheless, these jobs do not require any phone interaction and can be quite flexible. Though the jobs mentioned above do not need a phone, sometimes there might be a requirement for a separate workspace or a more technical equipment like for transcription jobs you might need foot pedals and headphones. Go over the list and see what fits your schedule and start applying. If you are looking for scam-free jobs, then there is no better place than FlexJobs. This is the most authentic job board that lists remote jobs from all over the world. The jobs are thoroughly researched and totally legit. For further opportunities, you can visit Indeed or my Job Board. 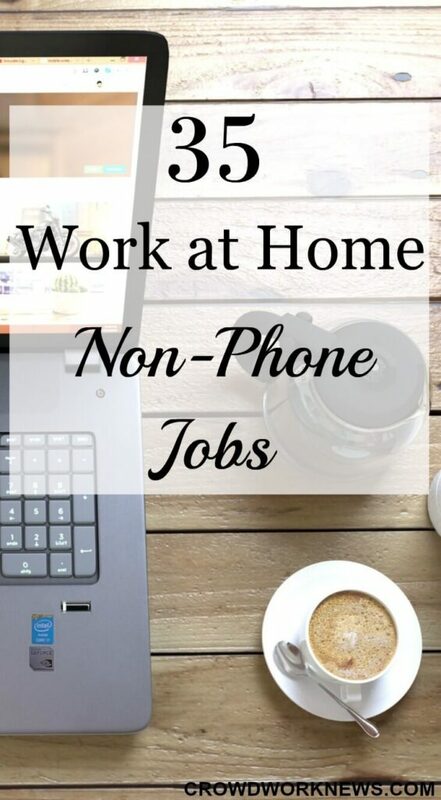 Are there any more non-phone work at home jobs available online? Please share in the comments. I would love to see if it is a great job on that I could do not on the computer. Thank you for recommending ProofreadingPal as an option for contract proofreaders. We’re currently making another hiring push so now is the time for interested editors to get their applications fill out. Thanks for the update. I am sure many of our readers are interested in applying for the role. Great post, a few more that I’ve tried out. 1. Video and audio editing. 2. Programming – any language. PHP, CSS, JAVA, HTML are in high demand. 4. Bookkeeping/Accounting – great if you good with accounting or bookkeeping software. Great!! Thanks for more options. An excellent resource you’ve provided to your readers. Thanks for the info, I found your site very helpful. I am a housewife and I always wanted to do work from home. I really liked Chat Agents job can you please guide me what I have to do to get this job? Thank you so much! I am very glad to know you found my posts helpful. Most of the chat agents jobs would not ask for much experience but it helps to have a background in customer service. If you are applying for a more technical chat agent position, then you need to have good experience in technical industry. You can go ahead and check out if any these companies are hiring. Thanks for sharing this great info, gives me additional options in working from home!